TORONTO, Feb. 25, 2019 (GLOBE NEWSWIRE) — WeedMD Inc. (TSX-V:WMD) (OTCQX:WDDMF) (FSE:4WE) (“WeedMD” or the “Company”), a federally-licensed producer and distributor of medical-grade cannabis, is pleased to announce that the Saskatchewan Liquor and Gaming Authority (SLGA) has authorized the Company to supply cannabis directly to the province’s retail and wholesale markets. 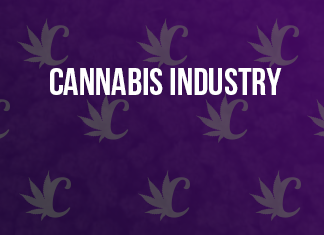 “As our robust production platform continues to expand, we are excited to announce the further expansion of our distribution network along with it,” said Brett Moon, SVP, Sales and Marketing at WeedMD. “Saskatchewan represents the sixth province in which Canadians will be able to purchase WeedMD products and has a unique model that allows both the sale and distribution of cannabis by the private sector. We are thrilled to be creating partnerships directly within this market which forms another component of WeedMD’s diverse distribution network, providing premium-branded products to both the government and private sectors across Canada and further positioning the Company for emerging global markets.”WeedMD’s expansion into its large-scale, fully-funded modern greenhouse will be the main supply base for its medical cannabis patients and rapidly-growing recreational market. The Company is on track to increase its cultivation platform to more than 550,000 sq. ft. in first half of 2019.In addition to Saskatchewan, WeedMD’s premium-quality cannabis products are currently available in Ontario, Nova Scotia, Alberta and British Columbia, and will be shortly available in Manitoba. With all six provinces, WeedMD is able to reach about 70% of Canada’s projected recreational market. The Company is in continued discussions with the remaining provinces, territories and private retail outlets. Recently, WeedMD completed the first shipment of medical cannabis products to Shoppers Drug Mart and our products are now available for sale on its newly-launched e-commerce site.For more information, access WeedMD’s investor presentation here and recently updated corporate video here.About WeedMD Inc.